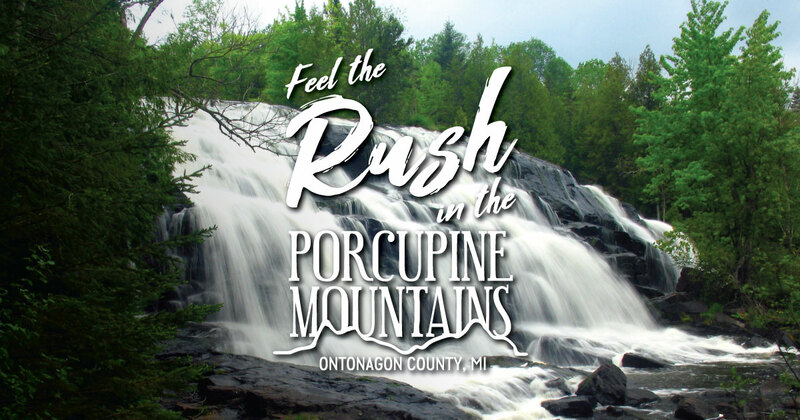 No matter when you choose to visit the Porcupine Mountains and Ontonagon County in Michigan’s Upper Peninsula, you’ll discover an abundance of awe-inspiring natural beauty. Vibrant fall colors. Snow-laden forests. Rushing waterfalls. Want to make your Instagram followers jealous? 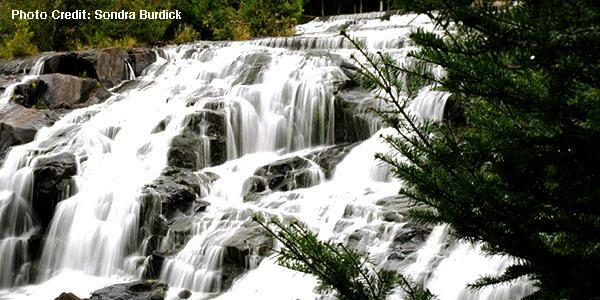 Here are a few falls you shouldn’t miss—grab your camera and get started (no filter required). 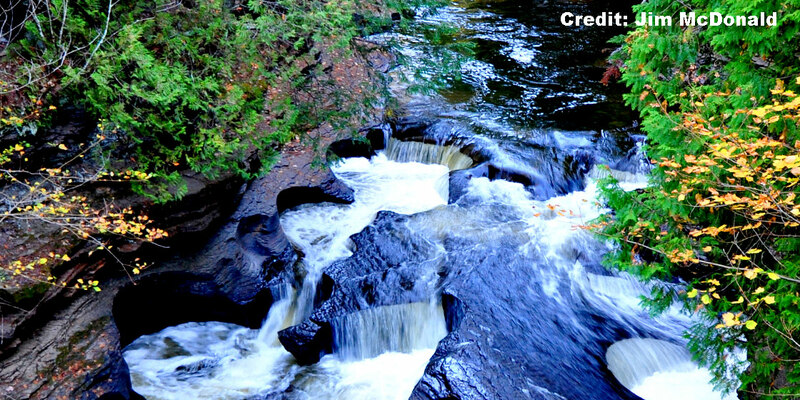 At the western edge of the Porcupine Mountains Wilderness State Park, you’ll discover the wild Presque Isle River, which creates a series of three splendid waterfalls as it flows into Lake Superior. The photogenic Manabezho, Manido and Nawadaha Falls are all easily accessible from a nearby parking area. Bond Falls is the most iconic falls in the western Upper Peninsula—and possibly the entire U.P.—and it’s a great stop for amateur and professional photographers alike. 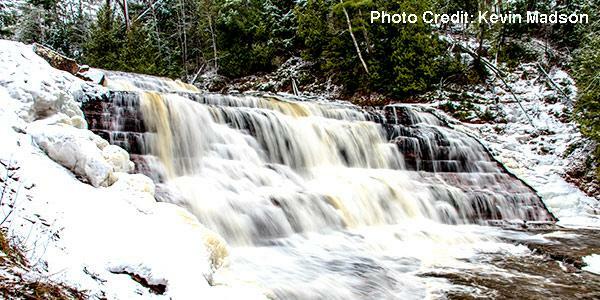 This iconic cascade is easily reachable via an accessible boardwalk that surrounds the falls. Roadside parking and picnic tables are available at the top of the falls. A short drive from Bond Falls, Agate Falls is located on the middle branch of the Ontonagon River. The river makes its way over a fractured sandstone shelf, creating a series of falls nearly 40 feet high. Park at the Agate Falls Scenic Site lot and follow the trail to the falls. 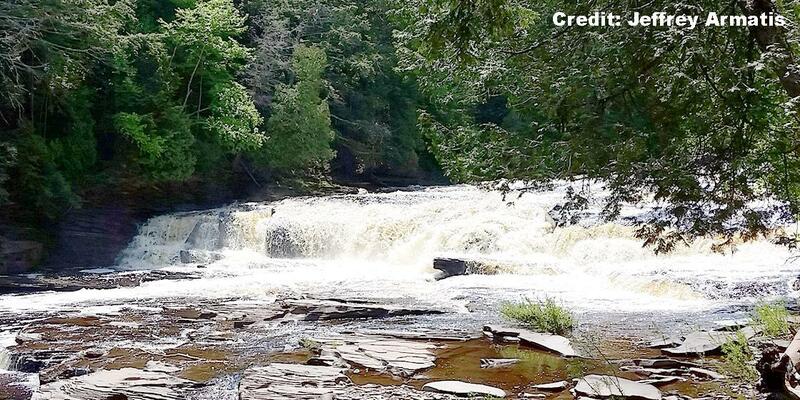 Discover more waterfalls in the Porcupine Mountains and Ontonagon County. Looking for a home base where you can launch your waterfall adventures? Find cabins, lodges and more in the Porcupine Mountains and Ontonagon County.